Should my company conduct social media background checks as part of our recruitment process? Previewing this protected information can lead to an assortment of legal trouble if hiring decisions are made or appear to be made based on social media checks performed by someone that has the ability to impact the hiring decision. Another item to be aware of is protected activity. For example, if a candidate was criticizing his or her former employer on social media and a hiring decision was made based on those comments, it may be considered protected concerted activity under the National Labor Relations Act. In the past, some employers have requested social media user names and/or passwords to access the information this way. However, many states are now making it illegal for employers to request this information. This only skims the surface of the potential workplace compliance issues that could arise by conducting social media checks on potential employees. If you are going to use social media as a tool in your recruiting process, it is generally a good rule not to handle social media background checks internally. However, if you still feel a candidate’s social media can help you in your recruitment process, you need to identify job related information that you hope to gain from the check (i.e. writing skills, consistency of job titles and dates), AND have someone that is not at all involved in the hiring decision (i.e. 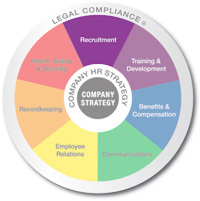 another employee or an external service or consultant) conduct these searches. This way, you will be able to obtain the information you need, without the perception of discriminating against your candidate. Recruitment isn’t just a matter of finding and hiring the right person. There are scores of regulations that must be adhered to or you risk stiff fines or penalties. 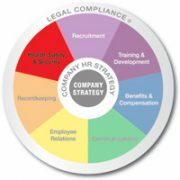 strategic HR inc. specializes in helping companies find, hire, and retain a talented workforce while keeping an organization compliant. Visit our Recruitment page to learn how we can help you hire safely. Can Employers Prohibit Wage Discussions Between Employees? Why Should Our Company Do Harassment Training?